Emotional intelligence (EI) can be defined as a set of emotional and social skills that influence the way we perceive and express ourselves, develop and maintain social relationships, cope with challenges, and use emotional information in an effective and meaningful way. While emotional intelligence isn't the sole predictor of human performance and development potential, it is proven to be a key indicator in these areas. Emotional intelligence is not a static factor - to the contrary, one's emotional intelligence changes over time and can be developed in target areas. The EQ-i 2.0 features one overarching EI score (Total EI), broken down into five composite scores which measure five distinctive aspects of emotional and social functioning. These in turn, are broken down into a total of 15 subscales. For almost 20 years, consultants and organizations have trusted the science that underpins the EQ-i 2.0® (and its predecessor the EQ-i 1.0) to help improve human performance. 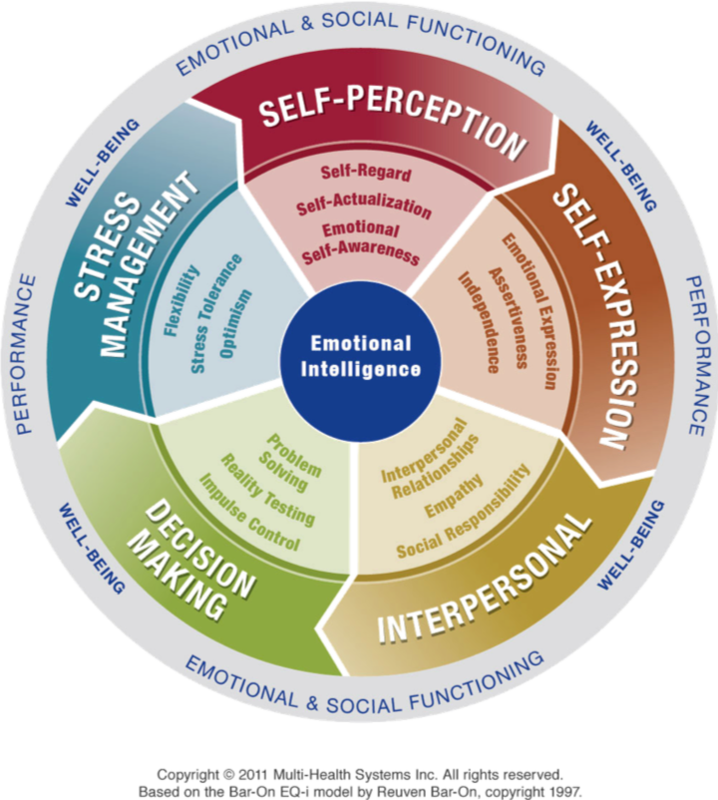 The EQ-i 2.0 is a psychometric assessment which measures emotional intelligence (EI) and how it can impact people and the workplace. Being the first scientifically validated measure of EI, coupled with research from premier organizations, means you can count on the EQ-i 2.0 to add robustness and accuracy to your talent management initiatives.